Your will includes a detailed explanation of how you’d like to distribute your financial assets to your beneficiaries. However, it may not include an explanation of how you’d like to distribute personal items that you own. Who will inherit those heirloom pearl earrings that your grandmother passed down to you? And who will receive your signed first edition copy of war and peace? When it comes to your personal property, it can be even more important to designate your beneficiaries than it is to designate beneficiaries for your financial assets. So, how do you ensure that your belongings end up in the right hands? Here’s what you can do. You can place your tangible possessions in a trust, and communicate your intentions with a trustee, or you can designate a personal representative (or “executor”) to handle your estate. You should choose a person you trust will follow your instructions when it comes time to distribute your assets. While personal property memoranda aren’t legally binding in the state of New York (although personal property memoranda are legally binding in New Jersey and other states), they can serve as a guideline for your trustee or executor. Create a personal property memorandum that outlines items to be dispersed, as well as the beneficiaries who will receive those items. It’s important to be detailed and clear with your personal property memorandum to ensure that everything goes as planned. If, for instance, you have a jewelry collection that you’re dividing up among several beneficiaries, it’s helpful to provide a detailed description of each item to ensure that there’s no confusion when the personal property memorandum is read on your behalf. These memoranda are usually relatively straightforward, and they include items to be dispersed, listed alongside their beneficiaries. Again, personal property memoranda are not legally binding in certain states, and they can only be included as a supplement to your will. Distributing your tangible possessions will still fall upon your executor or a trustee. 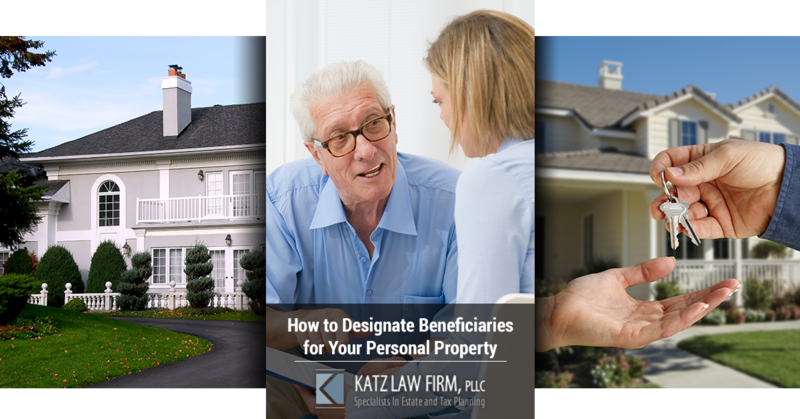 It can be difficult to decide who shall receive your personal property, but it is an important step to ensure that your property finds its way to your designated beneficiaries. Once you have a document prepared, it’s time to assign beneficiaries for your tangible personal property. Tangible personal property refers to possessions that you can actually touch; these possessions usually hold sentimental and/or financial value. You can place your tangible personal property in a trust to ensure that they are transferred to the appropriate beneficiaries upon your passing. You can even place tangible personal property in a revocable trust if you’re liable to change the trust beneficiaries. Estate planning is confusing. Fortunately, you can count on Katz Law Firm to make your estate plan simple, straightforward, and understandable. 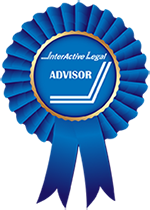 If you’re curious about our estate planning services, don’t hesitate to give us a call. You can also schedule a consultation right here online.